You might be familiar with the term Montessori but don’t know exactly what it is. You might wonder if it’s a franchise or a religious school. Maybe it’s even a center for gifted kids to go to. The answer to all of those is no. But don’t feel bad about mistaking it for those things. Even though Montessori has been around for a hundred years, it’s still often confused for something that it is not. In a nutshell, while modern school systems are based on standardized tests and rote memorization, Montessori is instead focused on teaching independence to children, allowing them to think critically, and develop their own inner motivation to learn. Montessori: a who, not a what. The Montessori method of teaching is actually based on the research of Dr. Maria Montessori, who was a scientist in Italy. She was the first physician in Italy and was fascinated by the development of children. The method of education that Dr. Montessori presented is one that’s based around the notion that children are naturally curious and independent. She noticed that they want to learn absolutely everything there is to know about their environment. Another aspect of it was that children make their own hypotheses and then test them out, making them little budding scientists. These characteristics, when combined with a controlled environment, would be a catalyst for the flourishing of these children in any educational environment. Eight essential elements of a Montessori education. Dr. Montessori came to recognize that each and every child is unique and will develop according to their own timetable. In the Montossori method learning, a new piece of material is taught to the child once they show an interest in it and a readiness for it. They’re not subjected to the usual top down approach that makes everyone learn things at the same time and pace. Dr. Montessori noticed that there was a three year period where children tend to have the same interests and most of the same abilities. Children are then grouped into these classrooms based around their age groups instead of being pushed into a certain grade level. 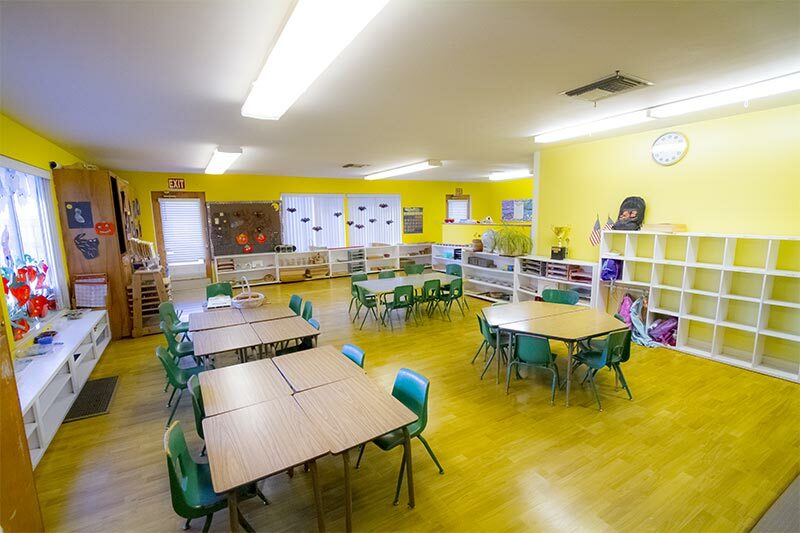 This is ideal for someone looking into a Montessori preschool in Woodland Hills or West Hills. Here, the child is introduced to a broad curriculum, but this is a curriculum that they can pursue at their own speed and interest. This way, the child learns the value of independence and hard work all at the same time. 4. Children learn by doing. You’re not going to see a row of desks or a teacher sitting at the front, handing out standardized tests. Instead, the child is in an environment where they can explore and use a number of instructional materials that will help them to learn abstract concepts and life skills. Dr. Montessori noticed that children all have an independence drive within them, so she decided to model her classroom around this fact. Tiny, child-sized furniture and tools allow the children to learn how to take care of their space (and ultimately each other). 6. A carefully prepared environment. A Montessori preschool teacher will take a great deal of time just in designing the classroom in order to meet the needs of every child in the space. Child-sized tools and materials are washed daily to ensure a safe space for students to work together. Cultural items, beautiful art, all of these things are utilized to ensure that the children have a warm and inviting atmosphere with which to work. 7. A real community of children. Kindness and the respect of others is modeled by the teacher with courtesy and grace lessons. The oldest children who have practiced this for three years can then use what they’ve learned to model for the younger students. Through all of her observations, Dr. Montessori saw that children were very capable, very autonomous individuals who always wanted to learn more about their environment. Instead of submitting children to the dreariness of rote memorization and standardized tests, it’s much better for all involved to work with the natural abilities and needs of the children. If you are looking for a quality Montessori Preschool in West Hills or Woodland Hills area please contact us today for a tour.